You will notice a […] symbol on several of my posts, which indicates that there is more to read. You may also notice that clicking on it does nothing. To read the rest of a summarised post, simply click on its title. Have you ever been out walking, suddenly spotted a landmark and thought “Great, I’m nearly there!”, only to find that an hour later you’re still walking towards it? Well the same can be said for finishing a task. I like to consider myself a successful person; and because that’s how I choose to define myself I recognise that, in order to make that my reality, I have to adopt the habits of a successful person. I’m also practising the important discipline of finishing a task completely before moving on to the next one. FORTY MINUTES LATER, I finished! Now had I left that until tomorrow, that would have been another 40 minutes out of my day, PLUS any cleaning and tidying from tomorrow’s kitchen activities. Finishing a task gives you closure, gets it out of your head and releases motivational energy. 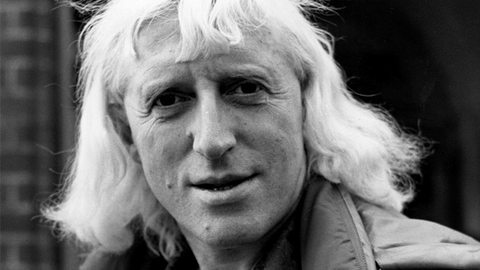 So apparently Jeremy Clarkson is ‘furious’ over someone from the BBC comparing him to Jimmy Savile. 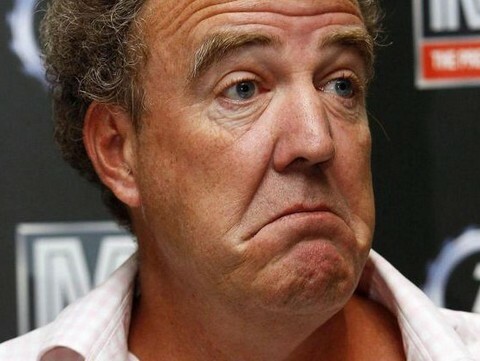 Was that person implying that Clarkson is a sexual predator – no; were they implying that he believes he has the power and influence to do or say what he likes without recrimination or negative consequences? Probably. Jumping to his defense over his recent ‘fracas’, we have the likes of David Cameron and Kirsty Allsopp, who would hate to see Clarkson taken off our screens because their kids love Top Gear. Like or or not, people in the public eye have a responsibility to be good role models; especially for our children. If you can’t take it, don’t dish it out. If you want to succeed, model someone who’s where you want to be (and better still, doing what you want to do). OK, so I don’t want to run an airline or a train company, but whatever your business goals, or life goals, you should find something interesting in Richard Branson’s top 10 tips for success. Legendary salesman and motivational speaker Zig Ziglar often told the story of how he used to have one of the worst sales records in the cookware company he worked for. Then one day a supervisor, PC Merrell, told him that if he believed in himself and went to work on a regular schedule, he could do some truly great things. Inspired by these words, Zig began to make sure, rain or shine, that he left the house at the same time every morning, ready to knock on a prospect’s door at exactly 9am. As a result, he finished the year as the number two salesman in America out of over 7,000 – but here’s the thing – he didn’t once make salesman of the month; BUT – he always made at least one sale every month. There have been some amazing examples in sport where a champion gets tested by someone who, on paper at least, shouldn’t have even been in the running. Sometimes the challenger wins, leading to lessons being drawn from these events from the underdog’s point of view; things like, ‘believe in yourself’, ‘don’t listen to the nay sayers’, or ‘never give up’. But here I want to look at things from the champion’s perspective. Most of the time the underdog doesn’t win, because their opponent, even when their back is to the wall and they seem to be pushed to the limits of their ability, somehow find another gear. So often, whereas good players can beat the average person just through their natural ability and show occasional flashes of brilliance, great players become champions by being consistent; by being able to produce a solid performance match after match. And consistent performance is borne out of consistent practice, dedication and focus. If you’re struggling with something that other people around you appear to be ‘naturals’ at, take heart in this – hard work and consistent action will beat raw natural talent every time. So stick with it. It’s been said that an author is only as good as their latest book and an actor, their latest performance. Such a phrase can be applied to pretty much any profession. The best in their profession have become successful by honing their skills, carrying out consistent daily actions that move them towards their goals. So how about you? How would you describe the state of your mind, financial situation, health, career; or the quality of your relationships or leisure time? Average? Good with occasional flashes of brilliance? Or consistently great? If you feel there is something lacking in any area of your life, consider setting some clear goals in those areas and take regular consistent action towards them. You’ll be amazed at what you can achieve when you do. This little gem appeared on my Facebook feed one day and I couldn’t have wished for a better example of how we should all look to embrace life; to live as small children do – with no fears, no cares and no self-consciousness, amazed and amused at the simplest things in life and fully enjoying those experiences with other people, whom they love unconditionally. Thank you Chris Horton (and a very special thank you to your boys). I always find it amazing to see what some people are prepared to do for charity – or, in the case of the original ‘ALS Ice Challenge’ rules, what they’re prepared to do to avoid making a donation. 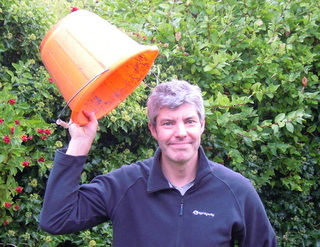 The MacMillan Cancer version has been cleverer still, asking people to donate £3 for the ‘privalege’ of getting a soaking from a freezing cold bucket of iced water. In my opinion there’s something deeply cruel in a setup where one person is nominated by another to do something they would probably rather not do. It’s brilliant for the charities since, potentially, they can earn millions for their cause before people run out of other people to nominate (although it’s more likely that the viral novelty will wear off first). But those who are nominated can leave themselves open to ridicule and guilt if they don’t comply; and those who aren’t can end up feeling unpopular and unimportant. Let me be clear on this – if anyone refuses to take part it doesn’t make them a tight arse, or a boring killjoy, or unfeeling, or any other cited reason to try and lay a guilt trip onto them. If anything it makes them rational human beings in control of their own destinies, who will not be swayed by the masses into doing something that makes them look stupid or feel uncomfortable. Some people might argue that anything that helps raise money for a good cause is justified, but I disagree; being coerced to give (however gently) is, in my opinion, just wrong. Don’t get me wrong, I believe wholeheartedly in charitable giving and I love to support people I know and local kids when they ask for sponsorship. But, as a rule, I prefer to give to causes of my choosing because I have a heart for them and, when I do give, I prefer to do it anonymously. And sometimes I prefer to give of my time, rather than my money. For all those who have already participated in the ice bucket challenge, well done, I genuinely applaud you and your generosity in giving to the charity associated with your particular soaking. I respect your decision to take part – and trust you will respect my decision and reasoning not to. For anyone who is yet to participate, please don’t bother nominating me. I’ll only disappoint you – and leave you cold. I’m pretty good at keeping my inboxes clear (I have two email accounts, one for personal stuff and another for work). A little while ago I had the great idea of creating folders where I could place emails that needed action taken on them; this way I could then deal with those at my leisure and keep my inbox clear. Since implementing my master plan I now have a total of 834 emails across my two accounts which need some kind of action. I may as well have just created a new folder called ‘out of sight out of mind’ and just set up an auto-redirect into it from my inbox. It’s the digital equivalent of spending a day sorting a room, only to find that, eight hours later, all you’ve actually done is transferred the contents of one room into another without actually dealing with any of it. Now I’m a great believer in focussing on what’s most important; but if you’re doing that at the expense of everything else, all you’re doing is creating backlogs elsewhere in your life which take longer and get harder to deal with the longer you leave them. This is a dangerous habit to have – the less of a handle you have on how much genuine, worthwhile work there is for you to do, the more likely you are to take on other things, which give you even less time to work on your tasks effectively and can lead to massive feelings of overwhem and despair. And ultimately, the more things you have to do, the more often you are likely to end up having to compromise on time, quality or price. Really? Six hours? 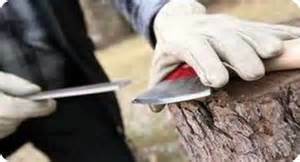 If it were me I probably wouldn’t use an axe in the first-place – I’d use a chain saw, get the job done in a fraction of the time and probably spend the rest of it playing my guitar. Better still I’d hire somebody else to do the job for me and spend the time working on something I enjoy far more, and am much better at, in order to pay them. So keeping things in balance is important; and the less time we have to spend doing that, the better. As for my email disaster my intentions were good, but they didn’t work, so now it’s time to try another approach. Here’s how I intend to tackle my 834 emails. Step 1 – tackle them in the order most recent to least recent – this is because the more recent ones are likely to be the most relevant. Older emails may contain information or links that are now out of date and can just be ditched. Also dealing with the most recent messages first may help me avoid OS moments; like reading an email I received a week ago from a potential client asking if I might be free for coffee tomorrow (Oh S**t!). …and, whatever I do, I WILL NOT make new folders called these to put the mails into and deal with later! Did the email come from a shopping site or a person I bought a product from a year ago and haven’t since; or worse, have I been enticed by them to buy other stuff I’ve never got round to using? If so, I will unsubscribe from their emails, reduce my incoming clutter and get rid of any future temptation. Step 4 – Going forward, apply the ‘D’ rules to each message straight out of my inbox and not waste time reading them and moving them to another folder, only to have to read them again to deal with them later. Now where did I put that guitar??? The world is a little poorer today for the loss of the great Robin Williams – a man whose talent I have admired ever since first seeing him in the TV show Mork and Mindy when I was a child. Like his character in the film Dead Poets Society, Williams ‘seized the day’ and ‘sucked the marrow out of life’. And yet, at 63 he was suffering from crippling depression to the point where, allegedly, he didn’t want to live any more. So many of us, who have lived lesser lives, would look at this man and wonder why he wasn’t happy. He was worth millions, he was adored by millions, he had a beautiful wife and daughter and a legacy any actor or comedian would be proud to have emulated. Maybe he thought he’d seen it and done it all; maybe he felt his best was behind him and there was nothing left worth living for. Whatever his reasons for leaving this world prematurely, they will never have been compelling enough for the people who loved and admired him and his work to understand. In the words of Braveheart (not one of Robin’s films) “Every man dies – but not every man really lives”. 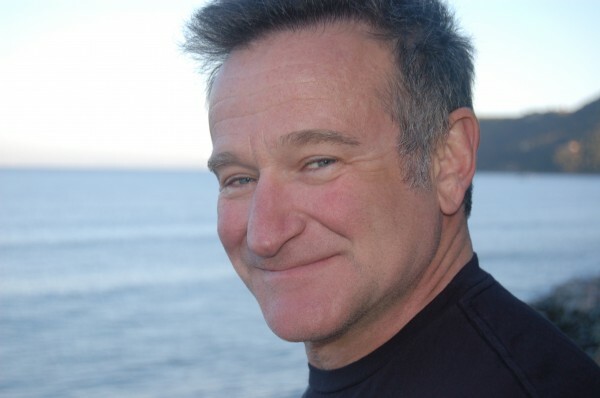 Robin Williams’s life may have been cut short and there is no doubt he would have blessed us with even more incredible achievements; but, even as it stands, the life he lived and legacy he leaves are both far greater than the majority of us would be happy to have accomplished if we lived to be one hundred. I have invented my own S.I.M.P.L.E philosophy in an attempt to keep growing in all of the key areas of my life and shared it with you in case you find it helpful to use yourself. The sections below explain in more detail what each letter stands for, what my philosophy for it is and where I felt I was on that journey when I first wrote this post for a previous site of mine (now merged with this one) back in 2012. To see how I’ve been progressing since, click on the relevant category in the right hand sidebar on this blog. I can tell you now that, of all the sections in this website, I’ve found this one to be the toughest to write. I think many people are afraid to talk about spiritual belief, as it’s such an emotive subject. When you challenge another human being’s core belief system, that person is naturally going to be defensive; after all, you’re asking them to question things they may have held to be absolute truths for years, sometimes even a lifetime. It’s unlikely that anyone alive today will ever know, with 100% certainty, where they came from or where they’re going. They can believe with 100% certainty, but they won’t know. I believe 2+2=4 because most of us seem to; but maybe there’s a minority group out there who insists that 2+2=5! In life, as in mathematics, things would be much easier if we all believed the same thing; but then life would be boring, colourless, unchallenging. My hope is that all people will grow to respect people simply for what they are – fellow human beings – and not judge them by their beliefs or behaviors. Easier said than done I know, but isn’t life tough enough, without us being tough on each other? Far better that we share and enjoy the journey together. For the record, I believe there is a spiritual realm to this world, that we were created by a loving, merciful and righteous God and that, through the sacrifice of His son Jesus Christ, I can enjoy a loving relationship with God and the gift of eternal life.. That’s my belief, and I fully respect your right to yours, whatever it may be. Paul’s Progress (March 2012) – I have been a practicing Christian for about 10 years now; and I need more practice! Paul’s Progress (March 2012) – Married with plenty of friends and family members to keep me busy socially (and emotionally!). More introvert than extrovert, I can be sociable but sometimes just don’t want to make the effort in social situations. 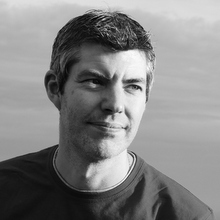 Paul’s Progress (March 2012) – I live in a modest, 3 bedroomed semi-detached house and have a pretty hefty mortgage. From 1st January 2012 I became full time self-employed. It’s a leap of faith and, so far, I’m not yet earning anywhere near enough to cover our monthly bills and I can’t afford to keep dipping into savings. Paul’s Progress (March 2012) – I’m finally seeing my six pack properly again for the first time in over 20 years, but I struggle to stay motivated to eat right and exercise. I like to think and reflect on things, so I often feel the pressure of trying to keep pace with modern living. Paul’s Progress (March 2012) – even fun stuff can involve goals, to help us make the most of our leisure time. I want to improve my guitar playing, so really need to put together a practice routine. Paul’s Progress (March 2012) – Whilst I’ve taken the plunge to become fully self-employed this year, it’s not without a little safety net. I’m currently doing contract work for my previous employer for 2 days a week; but it could dry up at any time with a month’s notice.